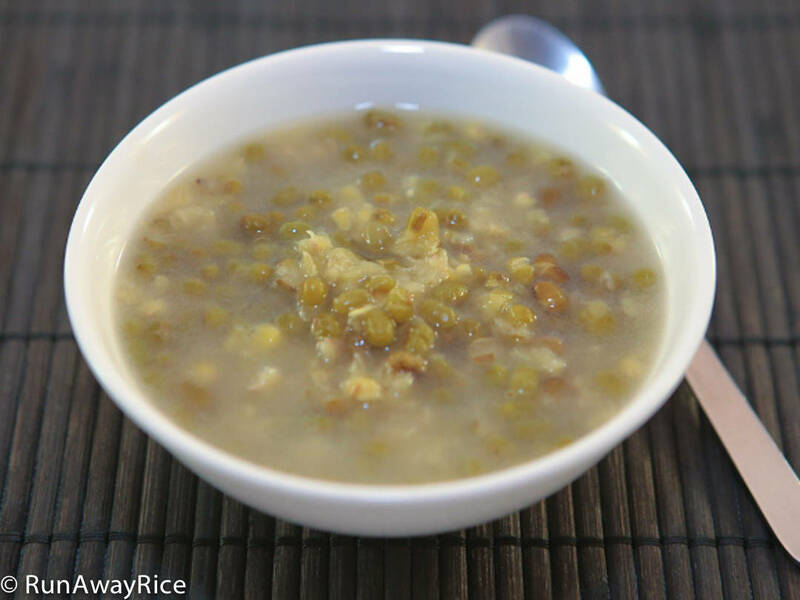 This Vietnamese dessert (Che Dau Xanh) made of mung beans is the easiest dessert to make. Are you thinking…beans? for dessert? Yes, beans are a very common ingredient in Asian desserts and pastries. Often the beans are cooked, mashed and mixed with sugar and coconut milk to make a yummy filling for cakes and pastries. This recipe is as simple as it gets–boil the beans and then add sugar and coconut milk at the end. I enjoy this dessert year-round. In the summertime, I add crushed ice to it and make a chilly refreshing treat. During the colder months, I serve it warm and it’s more of a soup. I also like drinking the liquid and often double the water so I have some extra. 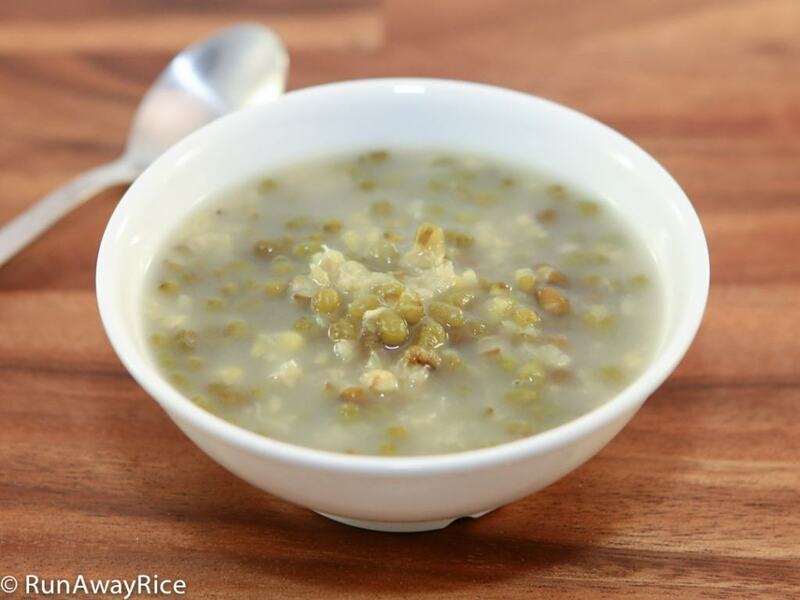 Green mung beans are touted to having cooling properties for the body. I’ve heard some people say it reduces high blood pressure so give it a try and let me know what you think! 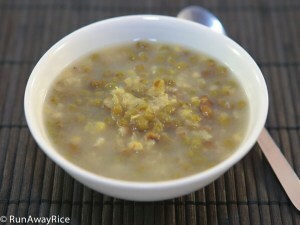 Wash and rinse mung beans several times. Place beans in a pot with water and bring to a boil. Reduce heat to low and simmer with lid on pot for 45 minutes until beans are tender. Add sugar and coconut milk and stir. Simmer for another 5 minutes.